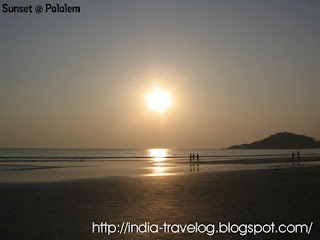 Palolem Beach - Rated among the World's top 10 beaches, Palolem beach is indeed a lovely beach. The beach is crescent shaped and you can see rocks jutting out of the sea. 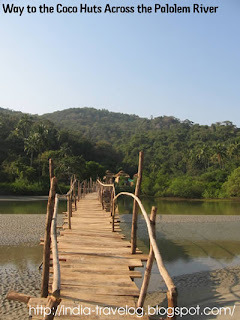 It is for the most part unspoilt and is inhabited by local fisher folks and foreign travelers who live in bamboo huts or shacks along the seashore. The shacks are aplenty. 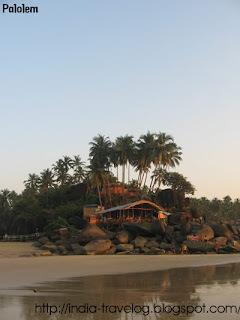 You will find them all along the coast in Palolem. We opted to stay in bamboo huts. The place where we stayed was called “Coco Huts”. 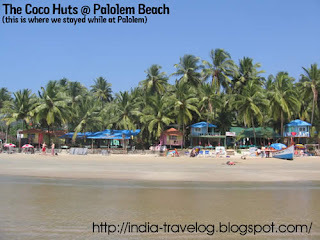 The easiest way to reach Palolem is to State Transport Bus from Margao Bus Stand to Canacona or Palolem. The journey is around 1.5 hours. You can also hire a cab or take an auto if you are game for adventure. From Canacona it is 4-5 kms drive to Palolem. At night the whole coast is lit up. You have all kinds of cuisine on offer. You can have your meals on the shore in candle light. Some shacks also have hookahs. Liquor flows freely. Music is everywhere. Overall, it is a nice place to chill out. 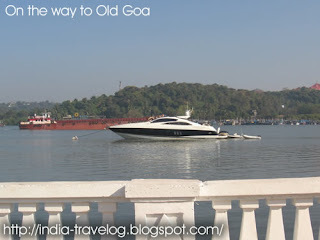 Old Goa – is famous for its churches. 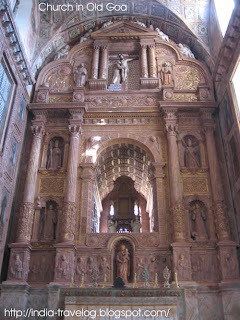 The churches are associated to different congregations, including the Se Cathedral, the church of St Francis of Assisi, the Church of S. Caetano, and notably, the Basilica of Bom Jesus which contains the incorruptible body of Saint Francis Xavier. 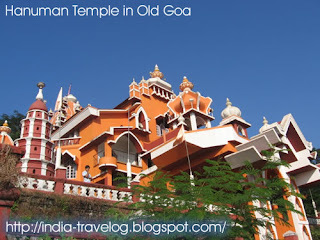 We also visited the Hanuman temple is Old Goa. 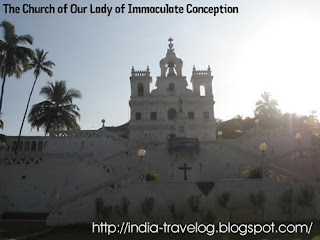 The Church of Mary Immaculate Conception is one of the earliest churches built in Goa. Located at the heart of Panaji, this grand church is a well-known landmark of the city. 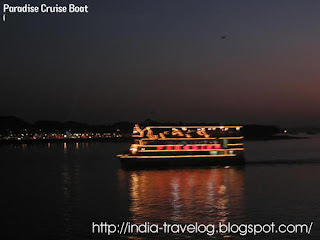 Cruise on Mandovi River - Cruise on the Mandovi River is an enjoyable and lovely experience. There are number of cruise operators - Goa Tourism Development Corporation and a multitude of local operators. There are also various cruise options to choose from - Daytime, Sunset and Moonlight. We opted for the Sunset cruise. The cruise was fun. There was music on the cruise. Professional artists perform the traditional dances of Goa like Fugdi and Shigmo. Many visitors also joined in the dance. There was a dance floor in the lowermost deck. Food was served in the middle deck. The cruise lasted 1-1.5 hours and was worth the fare. 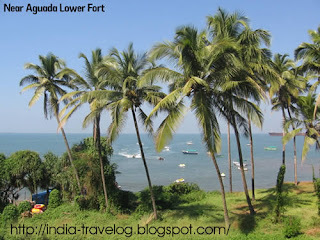 Aguada Fort - Built in 1612 to protect the northern shores of the Mandovi estuary from Dutch and Maratha raiders, Aguada Fort is home to several natural springs. 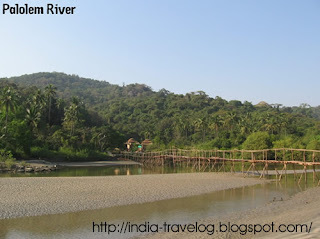 It is the first source of drinking water available to ships arriving in Goa after the long sea voyage from Lisbon. When we went here some movie shooting was in progress. There are lot of water sports facilities around this place. Anjuna Beach – Anjuna is known as the hippie capital of Goa – home to trance music, late night parties and drugs. 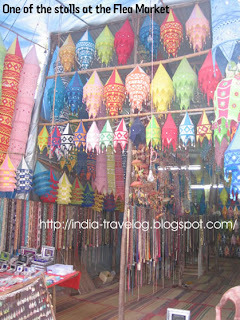 It is also home to the weekly flea market. Traders and vedors arrive from all parts to sell their ware. You need to bargain, bargain and bargain to get a good deal. The beach here was rocky. 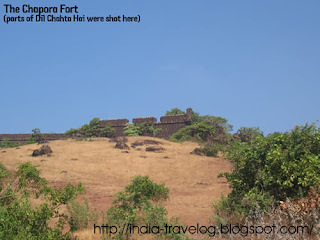 Chapora Fort – Around 10 kms from Mapusa, near the Anjuna beach is the Chapora Fort. This huge fort built out of red laterite stones was constructed by the ruler of Bijapur, Adil Shah. Hence it was named Shahpura, which then became Chapora. Mostly in ruins today, the fort offers a spectacular view of the Vagator and the Anjuna beach. Parts of the movie “Dil Chahta Hai” were shot here. 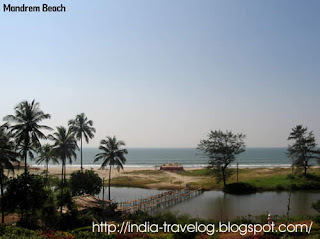 Mandrem Beach - The Mandrem beach is situated in the north towards the Arambol beach. It is an isolated beach with vast stretches of empty sand that has very little shade There are a few hut camps though. 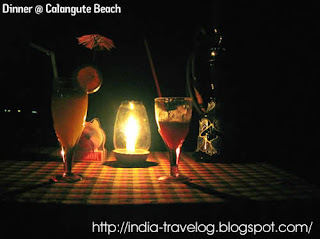 Calangute Beach – also called the “Queen of beaches” is nestled between the beaches of Baga and Candolim . It is by far the most visited beach in Goa and you will find everything here - Yummy food, shopping, entertainment, water sports and a wide variety of accommodation. 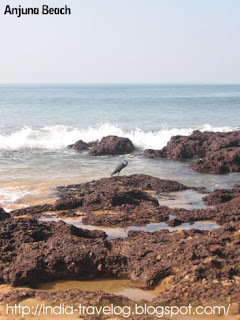 We put up at a homestay in Calangute for 2 days and enjoyed the stay. Bikes are available on hire. You can visit the nearby beaches on bike.